It’s that time of year again for Christmas Shopping. You may remember my Christmas guide from last year where I did a selection of items for babies and kids. 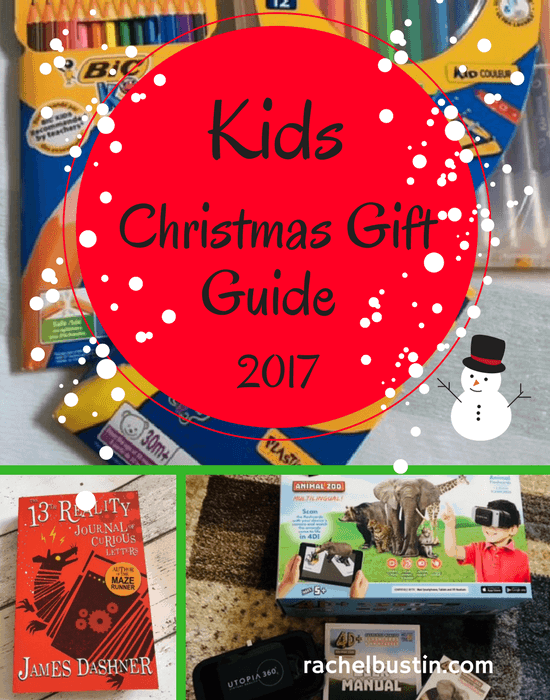 This year as baby girl is older I have put together a kids gift guide for all ages of children. Some bits will be suitable for younger and some bits for older children. I do hope you find something suitable for your children. Everywhere you look at the moment it’s all about unicorns. We are loving this Unicorn nightlight from Find Me A Gift. It’s calming as well as being so darn cute! It changes through 7 colours emitting a soft glow. I love these adorable brushes from Tangle Angel. 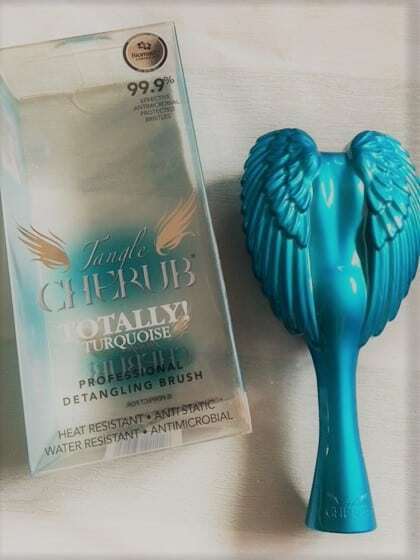 The Tangle Cherub is the perfect kids brush for detangling their hair. It can be used on wet or dry hair. Special features include antibacterial properties, heat resistant, antistatic and water resistant. These are cute little dinner sets, comprising of a tumbler, bowl and plate. 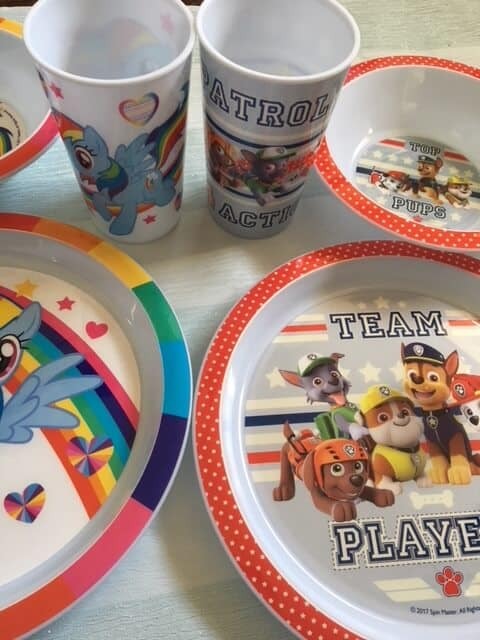 They are perfect for making mealtimes fun, ideal for picnics and holidays. They will make ideal gifts for little ones beginning their weaning journey. 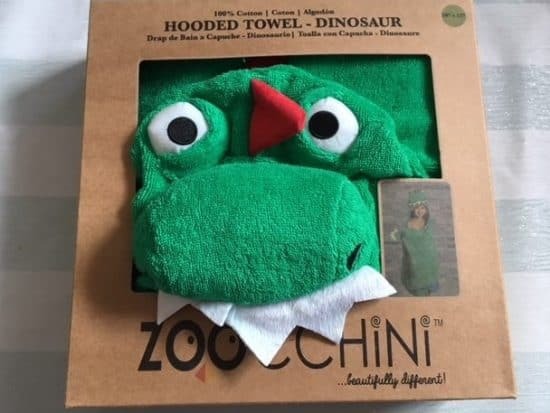 I’m in love with this fantastic soft and squishy Dinosaur Hooded Towel. It looks terrifying! 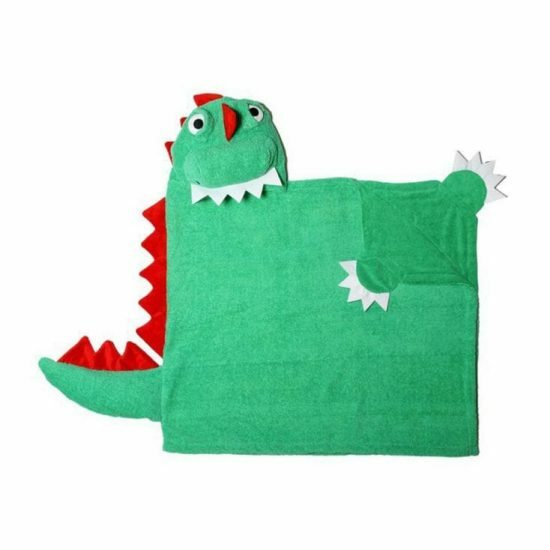 Suitable from around 24 months to 5 years it will make the perfect gift for bath time or even after swimming! The Hooded Towel is decorated with a spongy 3D head, eyes, and red jagged spikes down its back. 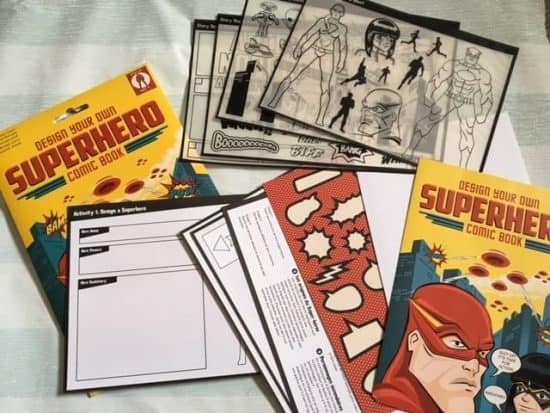 This is a fantastic step by step project to help you design your own Superhero comic book. It will give older kids hours of fun. Christmas time is a great time for colouring and drawing. 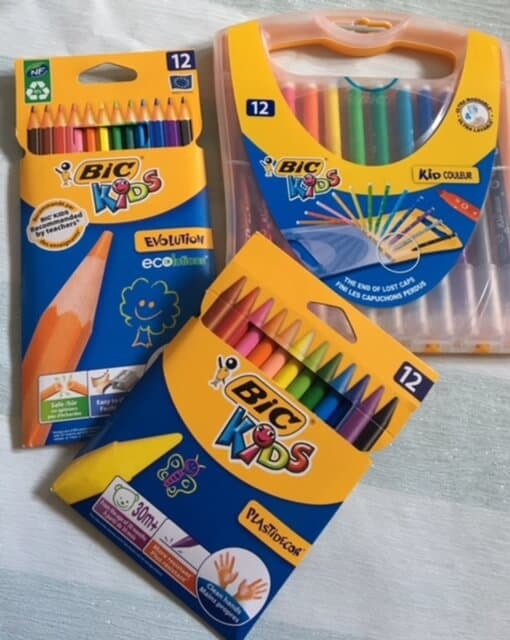 BIC have got these incredible colouring packs which would be ideal to add to your children’s gifts. The BIC® Kids Evolution ultra-resistant, wood-free colouring pencils are ideal for everyday drawing and colouring. With a resistant chew-proof lead and barrel these pencils are highly durable. What’s more, they are easy to sharpen and safe as don’t splinter and with a wide choice of colours at your child’s disposal, impressive artworks are just a doodle away. Enabling your little one’s pens to be displayed in harmony, this problem-solving pen case, is full of a dozen medium-tip, felt-tip pens. The highly durable blocked tip means that the nib won’t bend or retract under pressure and the water-based inks mean it can easily be washed from skin and most clothes. Available in 12 vibrant colours and boasting washable ink, these pens are perfect for children as they allow for all of the fun, with none of the mess. Wave goodbye to dirty hands and clothes with the BIC® Kids Plastidecor crayons. These fun crayons are made from an innovative resin (as opposed to wax) meaning that they don’t transfer onto your hands or clothes. The material is durable and can be easily sharpened without breaking. What’s more, the rainbow shades of 24 different colours are sure to create some fun pieces of artwork. I believe all the STEM based learning products around at the moment are fantastic for kids. This Utopia 360° 4D+ Augmented and Virtual Reality Bundle is no exception. In fact my husband and I found it an amazing experience as well as my daughter. We tested out the Animal Zoo pack. Wow I can still see the bear in 4D, and the ants I thought were crawling over the sofa! The animals come to life so clearly it seems real especially with the sounds! 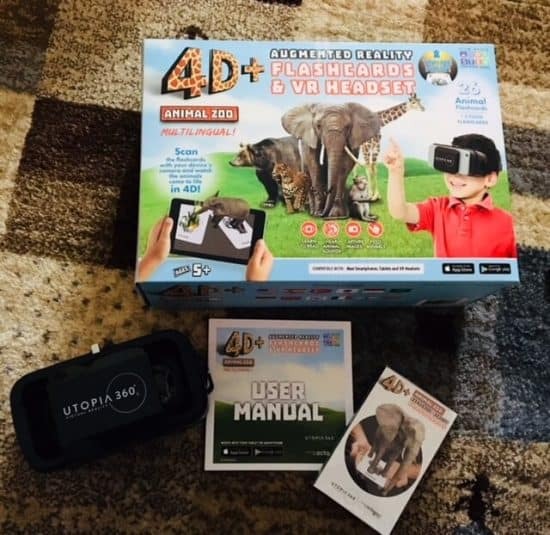 Each bundle includes a VR headset, a deck of AR flashcards and is jam packed with educational features. You can also get the dinosaur experience and the space exploration as well as the animal zoo packs. If you are looking for a slightly unusual gift and one that would help others, why not see what Born Free have to offer. 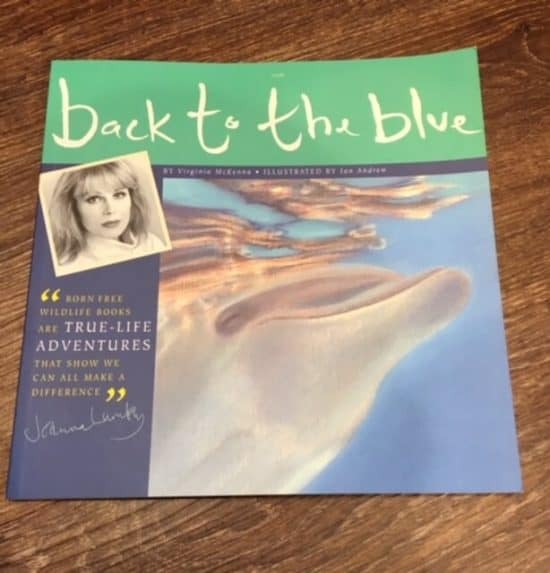 A varying percentage of profits from the sales (depending on the product) go directly to Born Free – the dynamic international wildlife charity, founded in 1984 by the actors Bill Travers MBE and Virginia McKenna OBE, so they really are the ‘feel good’ gifts to give and receive. I’m a huge fan of personalised things. Bags of Love have a huge selection of items you can personalise. From wall prints, cushions, towels and other homewares. To wrapping paper, socks, mugs and much more. They have a fantastic kids section as well, where you can get personalised toy sacks, lunch bags, comfort blankets, brushes and even a bean bag! 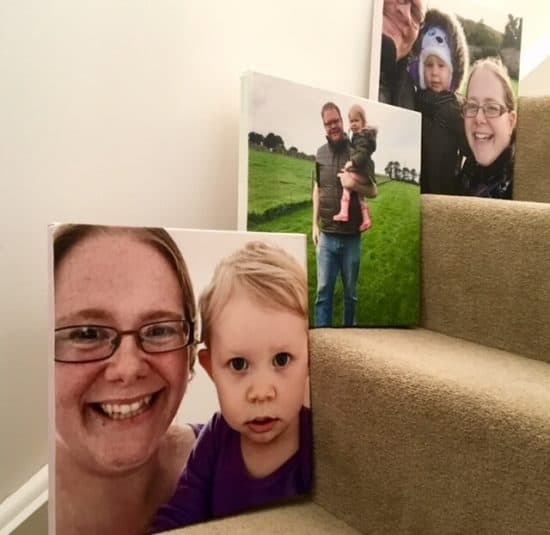 I designed some gorgeous wall canvas prints to go on our wall in the new house. I wonder is I can keep them a secret from my husband until Christmas. As you can tell from the photo below they are of extremely high quality. They turned out much better than I expected! I hope you found these gifts inspirational and have given you some great ideas. 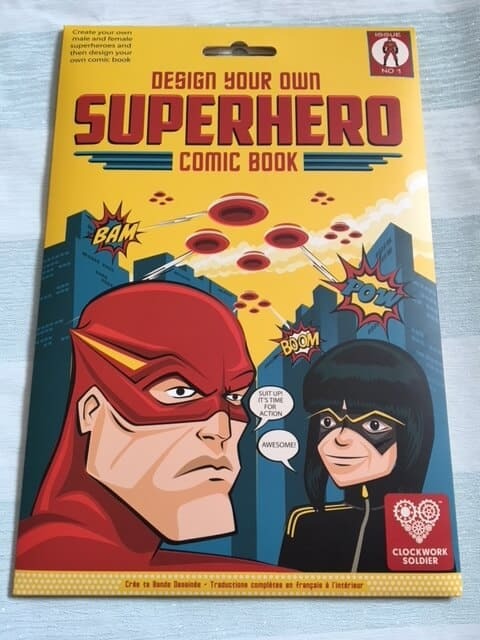 *I was sent the products in this gift guide in exchange for this post. All thoughts and opinions are my own. This post contains affiliate links.